20 Straws filled with Our Spring Honey(mostly Basswood)Yum! Ready to take on the road with you. We can personalize the label for you. PERSONALIZED LIP BALM for Your Gift, Party or Shower. $2.50 up to 100, $2.25 101-up. Your Choice of Organic Flavors: Natural, Spearmint, Apple, Cappuccino, or Berry. Please state in note what flavor. SPECIAL ORDER:May take up to 1-2 weeks after order is placed. 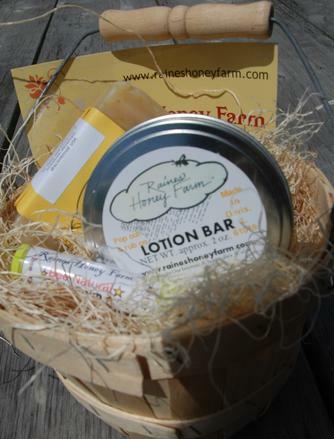 Gift baskets and Personalized Bears or Lip Balm can be ordered for pick-up here at the farm, Rockford City Market, or at Chicago Edgebrook Farmers' Market...(other delivery or meet-up arrangements may be made). Please email or call with orders / inquiries. Anise Hyssop, New England Aster, Siberian Wallflower, Lanceleaf Coreopsis, Plains Coreopsis, Chinese-Forget-Me-Not, Purple Coneflower, Fleabane, California Poppy, Indian Blanket, Globe Gilia, Tidy Tips, Blue Flax, Sweet Alyssum, Bergamot, Forget-Me-Not, Baby-Blue-Eyes & Corn Poppy.